Sweater Weather - A distinct chill is in the air. Get out your scarves, get out mittens. It’s SWEATER WEATHER! 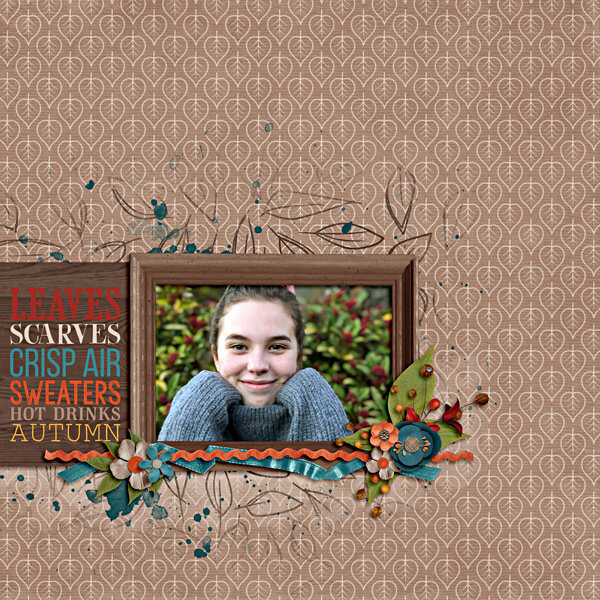 Laurie’s Scraps has created another cool weather stunner and you’re going to want to grab it to keep your fingers busy scrapping. This collection is chock full of fun flairs, clever cards, enchanting elements, and tempting titles. The glorious late fall palette is red, brown, orange, gold and deep teal. There are more than 20 super-solid and pleasing-patterned papers and two complete alphas. You won’t need to find an extra blanket with SWEATER WEATHER on your lap……….. top. $6 GRAB BAG on sale now! I loved working with this kit!